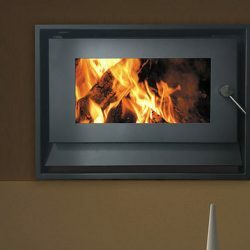 The Blaze B820 Inbuilt Wood Fireplace is a convection type inbuilt fireplace that will warm large open areas. The Blaze B820 can be fitted into a masonry chimney, or timber frame with the addition of the zero clearance box. The Blaze B820 features a 6mm steel firebox, standard 3 speed fan and black nickel handle.